You may have heard about green walls or even seen a few. Also called living walls, live walls, eco-walls and vertical gardens, these structures are essentially walls covered in vertically grown plants, and they can appear either inside or outside. The idea has been around for a while, and it’s really caught on lately due to their environmental and health benefits, as well as appealing aesthetics. But not all green walls are made equal. Read on to learn how a green wall should be designed in order to be useful and friendly to the environment. There are several types of green walls. Some might consider regular walls covered in ivy as a green wall, while others would limit the definition to walls specifically designed to hold vegetation. The latter type can be constructed in various ways. They might consist of panels with pre-planted vegetation, or replaceable trays that fit into slots in the wall, enabling easy removal if necessary. Vertical gardens also vary in terms of how they function. The simpler models require hand watering, while others have self-watering pipe systems. Many green walls rely on hydroponic systems that use drip irrigation. Based on the desired aesthetics and effects, you might choose different types of plants. You can include many varieties of plants, including groundcover, ferns, shrubs, flowers and more. Green walls have become popular in urban areas where people want to make their space greener but don’t have a lot of room to do so. Vertical gardens ensure the benefits of green space without taking up too much space. They also improve air quality, which is advantageous for people as well as animals and the overall environment. Plants remove carbon dioxide from the air and produce oxygen. They also filter out various contaminants, creating cleaner air, and can removeup 87 percent of airborne toxins inside a home within just 24 hours. This helps people breathe easier, especially indoors where air quality is notoriously bad. Ecowalls can reduce the urban heat-island effect and improve thermal insulation, reducing a building’s energy costs. They can also absorb noise and provide mental health benefits. Research has shown that having plants around can reduce stress and increase productivity by up to 15 percent. Critics have identified several potential issues with green walls. If the designer doesn’t adequately plan for their project, they say, the costs might outweigh the benefits. Maintaining a green wall requires more work and resources than a regular wall, especially if it doesn’t have a self-watering system. You’ll have to manually water the plants, and even with a self-watering system, the plants will need care at some point. 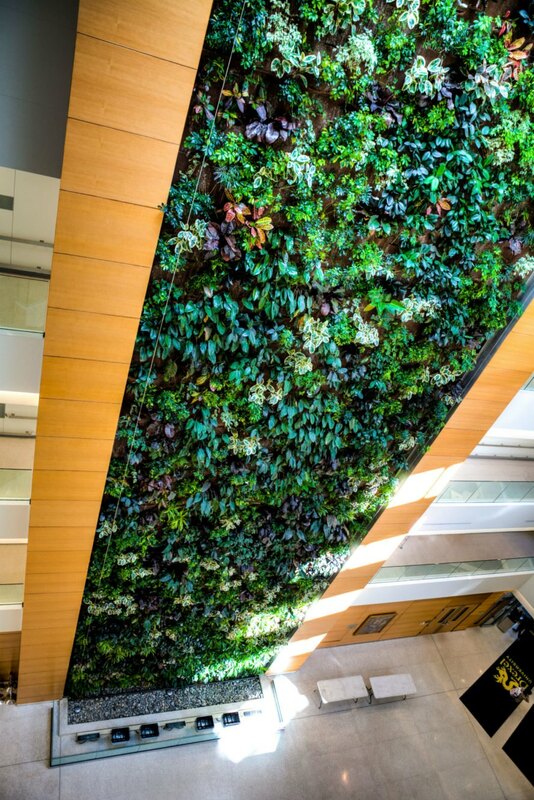 Green walls typically require large amounts of water, which can be unsustainable if supplies are low and the wall isn’t equipped with water recycling equipment. 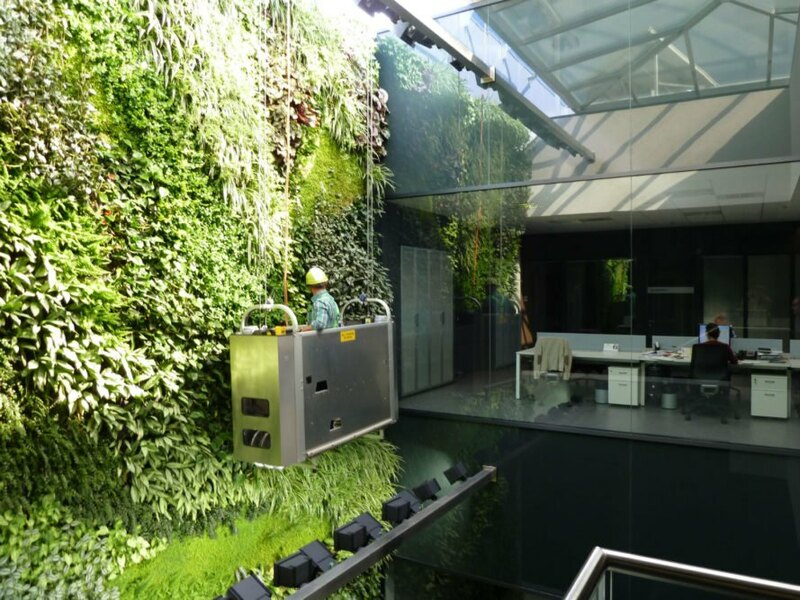 Operating a living wall also requires energy. Producing this energy can have a negative impact on the environment if derived from fossil fuels. 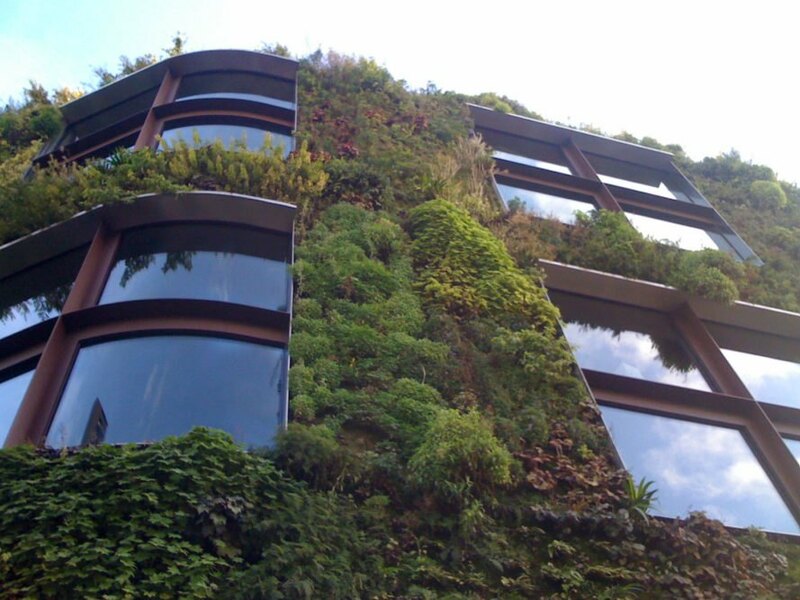 A green wall’s efficacy depends on how it’s constructed, operated and maintained. Drip irrigation systems appear in walls that use panels and hydroponic systems, while walls with replaceable trays use tank systems. Drip irrigation tubing is typically about 85 percent more efficient than tank systems. They connect to the building’s plumbing system, while tray systems require manual watering. Drip irrigation systems can also automatically recycle water. You could use recycled water in a tank system from an air conditioning system or another source, but you’d have to do so manually. Because tray systems require more water and use soil, they can attract bugs and form mold, fungus and even introduce pathogens. Due to this possibility, they don’t comply with strict health, safety and hygiene codes in places such as healthcare facilities. These buildings would need to use a hydroponic system. For these reasons, the soil in tray systems must be replaced about every month, which can be costly. Panel systems don’t require this and therefore don’t need as much maintenance. Another factor that can impact a green wall’s efficiency is the type of vegetation with which it is populated. Drought-resistant and local plants need less water than other types of vegetation, so they’re more water-efficient. Plants also, of course, require sunlight. Placing a living wall in an area with a lot of natural light will reduce the amount of artificial light needed and, therefore, the amount of energy it requires. For a green wall to be truly beneficial, you need to use an efficient watering system, put it in the proper place (with ample natural light), and plant vegetation that’s easy to maintain and requires minimal irrigation. Anyone interested to install a green wall, as well as the architects and engineers in charge of designing them, ought to consider the efficiency of the system in addition to their benefits and aesthetics. You may have heard about green walls or even seen a few. Also called living walls, live walls, eco-walls and vertical gardens, these structures are essentially walls covered in vertically grown plants, and they can appear either inside or outside. The idea has been around for a while, and it’s really caught on lately due to its environmental and health benefits and appealing aesthetics. Some, though, have called in to question the environmental friendliness of green walls. They can be useful and good for Mother Nature, but to do so, they need to work efficiently. A green wall located at the Caixa Forum, Paseo del Prado, Madrid. Maintaining a green wall requires more work and resources than a regular wall, especially if it doesn't have a self-watering system. You’ll have to manually water the plants, and even with a self-watering system, the plants will need care at some point.